The US Supreme Court agreed in May to hear the Jam versus IFC case and to decide on whether the International Finance Corporation (IFC, the private sector arm of the World Bank) should enjoy immunity in cases in which its actions resulted in harm. 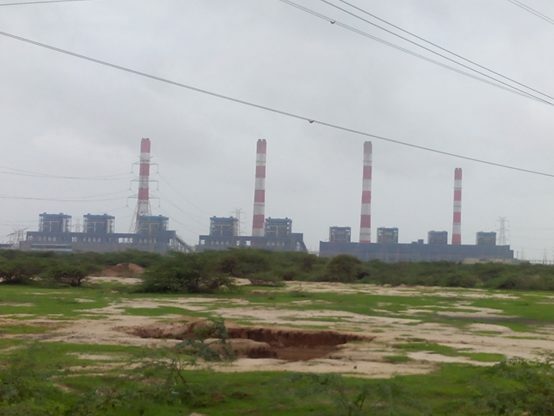 US NGO EarthRights International (ERI) noted that the lawsuit, filed by a group of Indian fishermen harmed by the IFC funded Tata Mundra coal-fired power plant, is a landmark case, since the Supreme Court has never before addressed the question of “whether international organizations [like the IFC] can be sued – or whether, as the IFC claims, they are entitled to special immunity from suit in U.S. courts” (see Observer Spring 2018). The IFC claims it has ‘absolute immunity’ under the International Organizations Immunities Act (IOIA), which grants international organisations, “the same immunity from suit and every form of judicial process as is enjoyed by foreign governments.” The plaintiffs, however, note that foreign governments’ immunity is now determined by the 1976 Foreign Sovereign Immunities Act (FSIA), under which states’ immunity cannot be granted in cases arising from their commercial activities and therefore argue that the IFC’s immunity is similarly restricted. The IFC’s stated mission is “to promote sustainable private sector investment in developing countries, helping to reduce poverty and improve people’s lives,” and its investments are aimed at ending extreme poverty, “with the intent to ‘do no harm’ to people and the environment.” The IFC must supervise, monitor and ensure its clients’ compliance with these goals (see Observer Spring 2016). However, when companies fail to do so, the IFC has no enforcement authority. The Compliance Advisor Ombudsman’s (CAO, the IFC’s accountability mechanism) powers are limited to reviewing IFC compliance with its own Performance Standards and issuing recommendations but, unlike a court, it has no power or resources to enforce its findings. In addition, even when the CAO documents damages caused, the IFC does not have resources set aside to provide compensation. 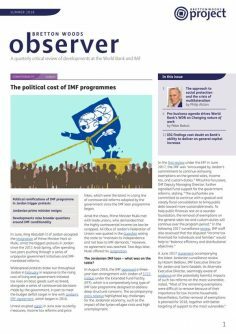 The significance of recent positive steps taken by the IFC, such as the establishment of a new development outcome framework, Anticipated Impact Measurement and Monitoring (AIMM) (see Observer Spring 2018), and the reduction of the number of high risk financial intermediary investments, is eroded by its insistence on avoiding accountability by hiding behind immunity. Even if the court were to side with IFC and find it has immunity, choosing to hide behind immunity in cases like this one where it does not deny the harm its lending has caused, would further damage IFC’s credibility as an organisation committed to “do no harm” and may hamper its ability to carry out its development mission. If the Supreme Court rules in the plaintiff’s favour, this case may pave the way for communities harmed by the actions of IFC and other international organisations to seek legal redress currently denied to them.